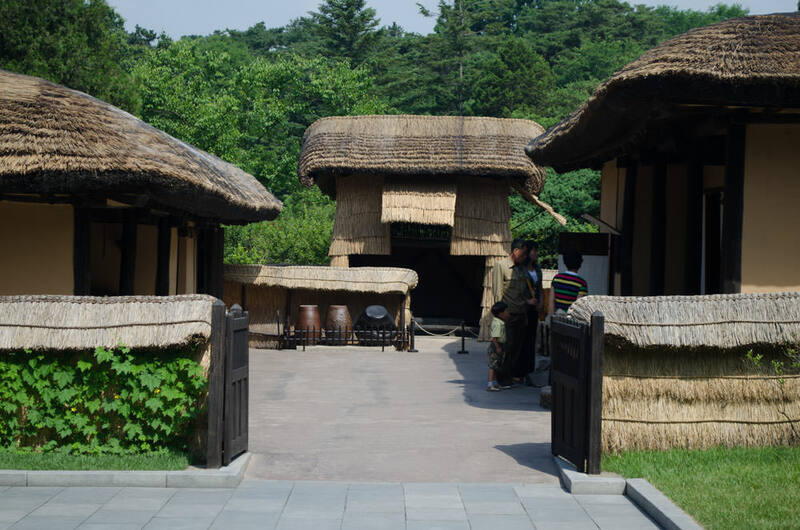 Mangyongdae Native House is treated like a sacred place by Koreans. Please note to be respectful. You can drink from the well just outside the house. It’s considered good luck! It’s tradition to scoop water out of the bucket and drink using a halved gourd. This is a good place to get a souvenir photo with the locals. Holidays and weekends for a bit of bustle. 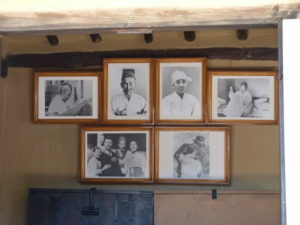 The Kim family’s home in the early 20th century. It is now preserved as a site of pilgrimage and a national icon. 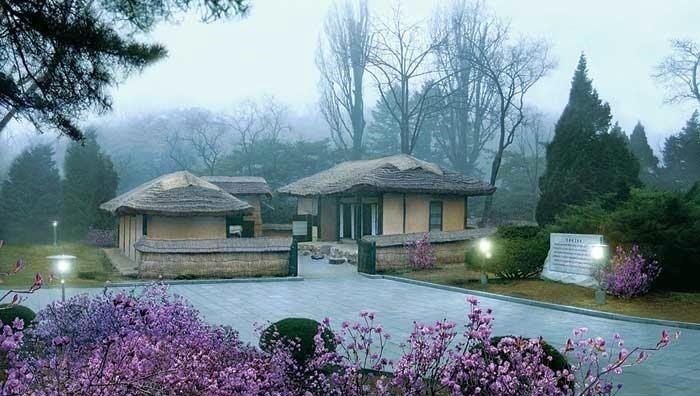 Mangyongdae is a North Korean cultural icon. 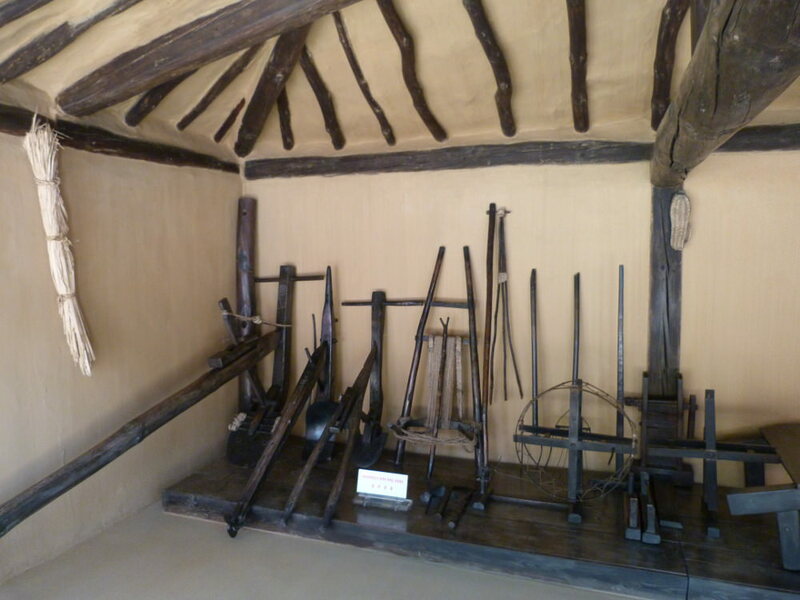 You will see images of Mangyongdae Native House frequently in North Korean art and design, as well as in the media. The song being played out of the speakers near the house is “Nostalgia” (사향가；思鄉歌). 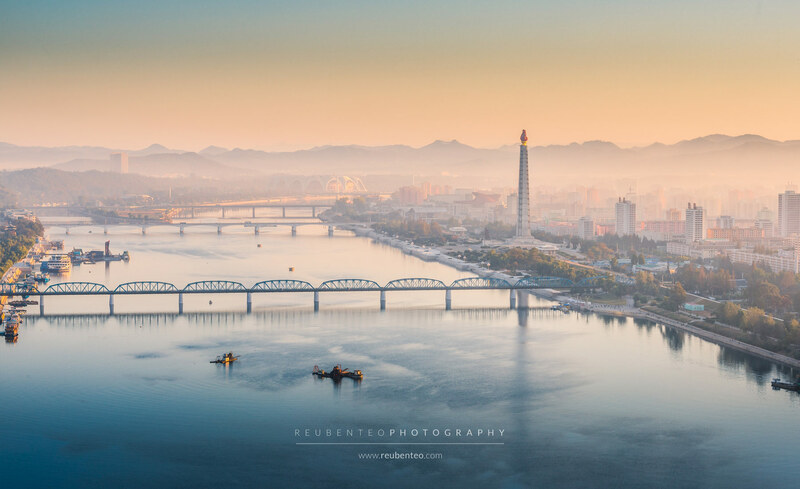 The song was written by Kim Il Sung himself, and expresses the longing he felt for his home in Pyongyang during the time he was a guerrilla in Manchuria. He left Pyongyang in 1925 and didn’t return until 1945. In the courtyard is a deformed pot with an interesting backstory. 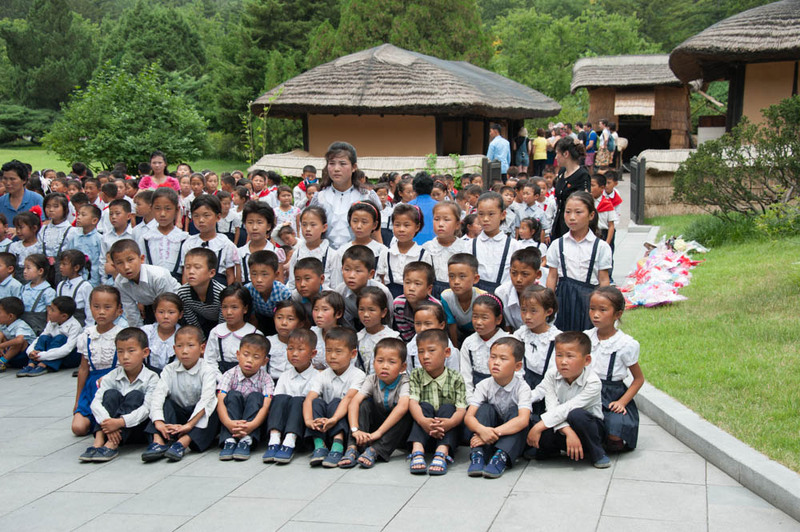 Kim Il Sung’s family was so poor it was the only one they could afford because it was sold at a substantial discount due to its warped shape. 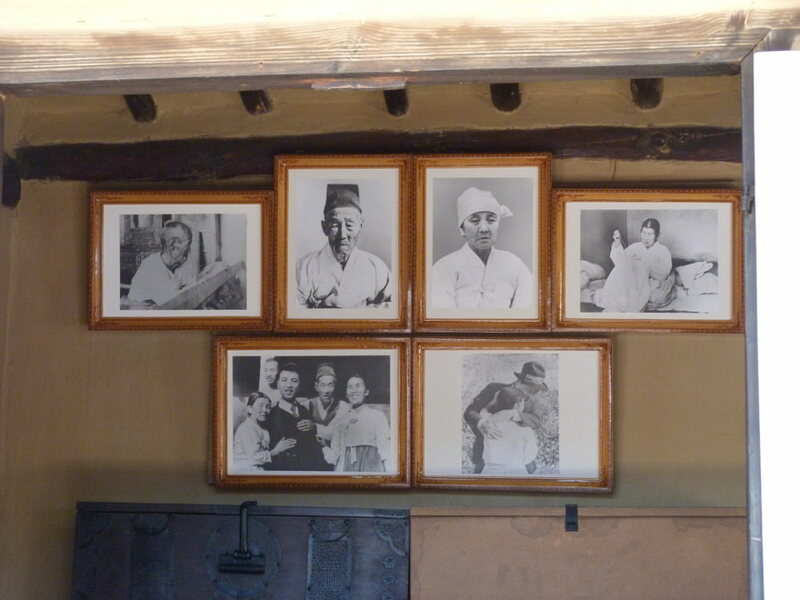 Family photos of Kim Il Sung’s family. 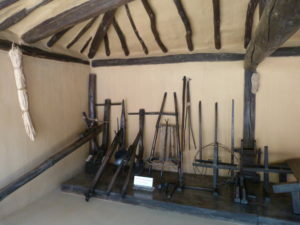 Farming implements belonging to Kim Il Sung’s family.